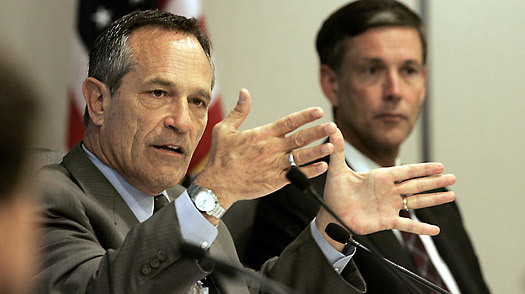 President Obama used a recess appointment to install Alan Bersin, a former U.S. Attorney in San Diego and schools chief, as commissioner of Customs and Border Protection. Bersin was nominated for the post Sept. 29. His nomination was hung up in the Senate Finance Committee, which had been busy dealing with health care and hadn’t even scheduled a hearing. Update: Chuck Grassley, ranking member on the Senate Finance Committee, tells The New York Times that Bersin was answering questions about “what appeared to be conflicting information about his documentation and disclosure” of household employees — questions that, the senator said, were “directly relevant” to the positions they will hold.